In most major American cities, less than 20 percent of voters cast ballots for mayor, according to City Lab, and those who do vote often don’t represent the city completely. For example, City Lab also states that younger residents have lower voter turnout. Local elections are rarely covered as closely or as glamorously as national elections, but local politics have a profound impact on the daily lives of a city’s residents.  In Pierce County, ballots for mayor and city council are due to be postmarked by November 7th, so we here at Grit City are offering residents a guide to Tacoma’s two candidates for mayor—Jim Merritt and Victoria Woodards. Whoever you’re thinking of voting for, make sure you do—if you don’t want to pay for postage, there are boxes around the city to drop them off. There is no excuse not to make sure your voice is heard! “I know what Tacoma can be. I know what it feels like to have all those opportunities. And I also know what it feels like not to have those opportunities. So, when I talk about providing opportunities for everyone, I know what that would feel like.” said Woodards in an interview at her campaign offices in Hilltop. Woodards, who has lived in Tacoma nearly all her life, says that she has lived in every neighborhood of the city. She has served on the Park Board and the City Council where she worked on initiatives like Project Peace (focused on community policing) and Graduate Tacoma (an educational initiative). She states that her biggest concerns as mayor would be bringing family wage jobs to Tacoma, increasing our city’s safety net for the most vulnerable (like the homeless and those with mental health issues), and reinvesting in Public Safety (our budget for public safety has taken a hit, which Woodards wants to remedy). Affordability is key for Woodards, a holistic concept that she says includes housing but also access to food and other concerns. “We have food deserts in our city…affordability becomes then that you’re living in an area where you don’t have a grocery store but you have a corner store, so instead of paying $2 for milk, you’re paying $5….so when we talk about it, it’s gotta be part of the conversation,” she said. Woodards supports the proposed Liquid Natural Gas facility proposed for Tacoma’s tide flats, as a transitional fuel that would save jobs in the city. The LNG plant has been hotly debated because of concerns about environmental impact, especially considering that the waterfront of Tacoma is an EPA superfund site (meaning an area that has been contaminated with hazardous waste). Merritt, an architect and urban planner, cites changing the culture of Tacoma city government as a top priority. Merritt’s architecture firm has been involved with major city projects including Union Station downtown, wherein he was the lead architect. He wants to bring business to the city and, in doing so, bring revenue that could help solve some of the city’s funding issues for services like policing and firefighting. Bringing jobs to the city is of high importance for the candidate, who says, “We’re not getting job growth. Three hours of commuting for families is not acceptable to me. If we don’t grow our job base in the city and get our tax base where it needs to be, we are in for a future that I am not really very happy about,” says Merritt. Environmental issues are major for Merritt, who is endorsed by the Sierra Club of Washington. Merritt does not support the LNG plant, at least in its current proposal, because he has concerns about its environmental impact. “[Have you ever been] to San Pedro? It’s thirty miles from downtown LA, but where are all the tanks, all the fueling and all that? It’s in San Pedro. If we aren’t careful, we are going to end up the San Pedro of Puget Sound. Do you want that? I don’t. We’re too beautiful. We have to do better,” he said. Merritt also wants to push transport forward, with a plan to fast track the light rail to the airport to completion in five years’ time. He has experience working with transport projects as an architect and feels that getting the light rail to the airport could help Tacoma compete with Seattle for business. Ballots are due by 8 pm on November seventh. There are other races in the election including city council members, so make sure you consider who is up for election in your district! Great writing. As it is said, “factual, fair, and unbiased”.